It will take up to 0-48 hours to verify your profile. Student will not have access to pay until successful profile verification. Student will be notified through SMS once profile is verified. Student can pay fees once profile is verified. Receipts can be accessed from 'Receipts' Tab. Receipt will also be sent to respective email after successful payment. 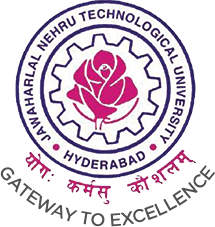 Students can approach JNTUHCEH Exam Banch/ Adminstration if profile is not verified. No need to worry if money gets debited from bank and receipt is not generated, Student can approach JNTUHCEH Adminisration and get the issue resolved. Students can change their password from 'Change Password' Tab. Print the receipts for future references.